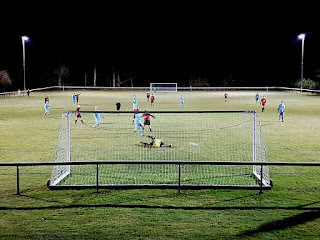 A rare Friday evening at the Cornwater Ground, Ravenshead and was met by both sides before the match and then by match Referee Andy Benner, after getting both teamsheets it was down to pitchside. Since my last visit, Ravenshead have fully railed the pitch, before long I was joined by a Awsworth players dad and 2 hoppers, one from down London way and Ken from Leicester. After chatting for a while to the players dad, I joined long time friends Jim Bethell and his dad. The game kicked off and it was Ravenshead who were first to strike, when their captain ADAM MARTIN fired home after just 3 minutes. Awsworth then pushed forward but didnt really trouble the home clubs defence, whilst the homesters played on the counter attack and Walsh in the visiting net had to come to the rescue a couple of times. 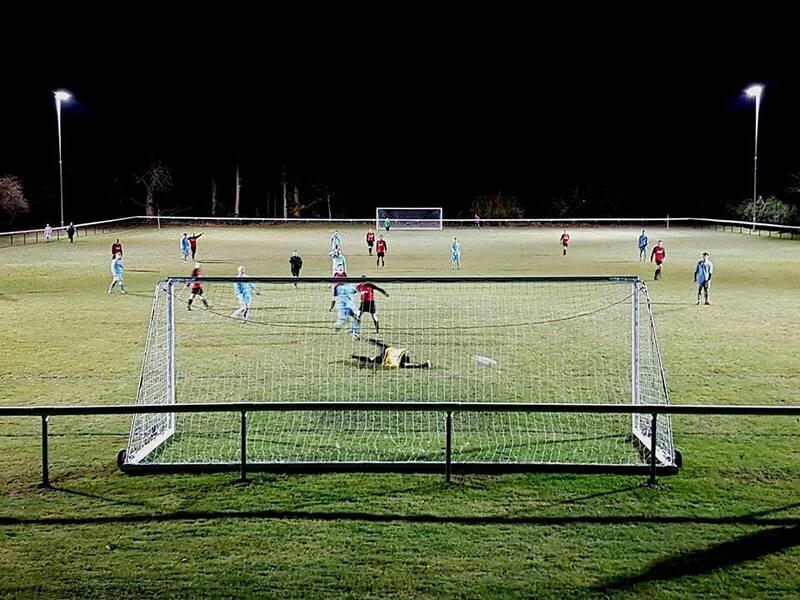 On 45 minutes, a ball from the left, found Paul Smith who chipped the ball to the far post for ADAM MARTIN to mash in to a empty net to double his sides lead. The Second Half and the home keeper made his first save of the game and the ball was cleared up field, the referee gave a free kick some 30 yards out after a trip on a Ravenshead player, the free kick was struck hard and hit the keeper who spilled the ball and TOM HUBBARD was first to react to slip the ball home on 49 minutes to make it 3-0. Villa then had their best spell in the game and could well on another day seen them pull back a couple of goals by stout defending by the home defence kept their clean sheet in tact. After 61 minutes, the match was put out of doubt when just inside the area, TYLER LAMBERT turned on a sixpence to smash the ball low and in to the corner of the net to make it 4-0.